Air jambs: The air jambs are vertical sills or side posts at the front of the hoos. These area tapered to promote smooth air flow into the hood. Air Foil(Sill): The air foil or sill, located at the front of the hood beneath the sash, creates a smooth air flow, minimizing turbulence of the air entering the hood. The recessed work area is directly behind the sill. All work shold be done at least six inches into the recessed area. 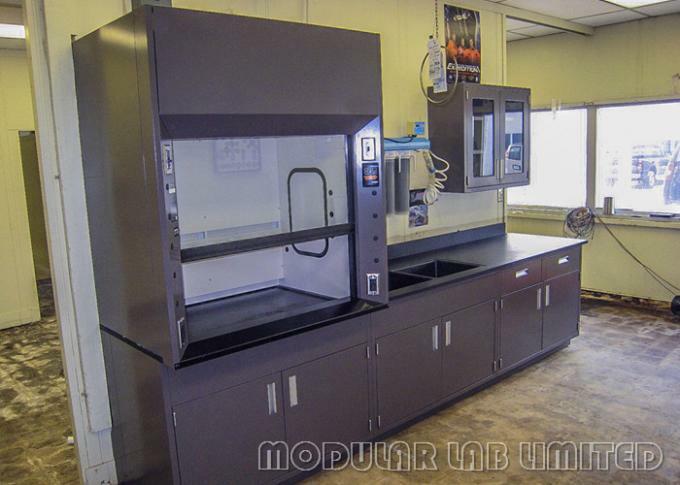 Flammable and corrosive material storage cabinets: flammable and corrosice cabinets typically comprise the botton supporting structure of the fume hood. Tjey can be vented or non-vented enclosures used primarily for storage of flammable or corrosive materials. If vented, the flammable storage cabinet is connected to the hood exhuast. Perchloric acid hoods have wash-down capabilities to prevent the buildup of explosive perchlorate salts within the exhaust systems. 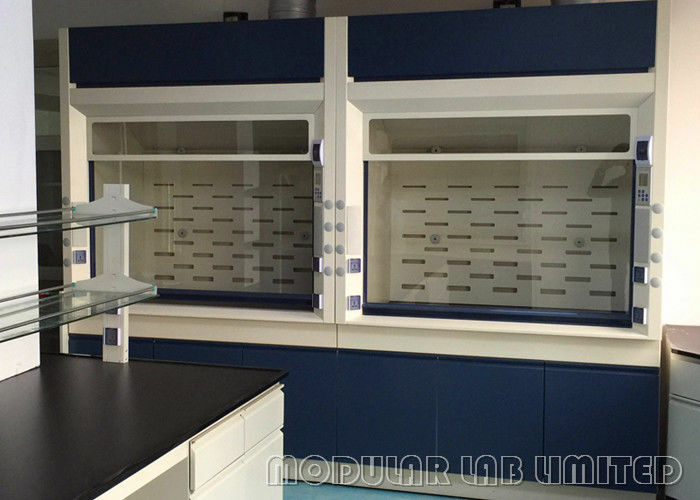 Both perchloric acid and volatile radioisotope work require specific fume hood use protecols. If you have questions or concerns about working with perchloric acid or volatile radioisotopes within a fume hood contact us freely.